Le 29 May 2016 par Nathael Pajani. Le 27 May 2016 par Nathael Pajani. The presentation pages for our Car-System are now online. This Car-System has been developed during the last two years for Mini World Lyon model exhibition project. There are many improvements yet to develop, but development is frozen until the opening in June 2016. To get to the presentation page, follow this link ! Le 21 Jan 2016 par Nathael Pajani. Le 26 Oct 2015 par Nathael Pajani. A small post to give you some information, but also to publish an idea, in order to protect it in the easiest possible way (So please, tweet, share, and forward this !). We are working on a new module for the DomoTab system, which is not a communication module, but a control module. This new module is able to control a load (one or more devices) and at the same time measure the current used by this load. This control module requires a communication module to operate, and thus uses the connector we defined for our communication modules. The solution we selected to drive the load allows for both usual AC loads and also DC loads. It is also possible to modulate the power for the loads which may be controlled in this way (water heater for example). When used with specific sensors, (temperature, humidity, …) you will be able to match power usage with local power production (solar, wind, …) or specific time frames (for noise reduction or electricity costs), while observing one or more thresholds for each operating equipment (maximum temperature for a fridge, minimum temperature for a water heater or a room, room humidity, ….). This system will also allow you to plan or shift the power usage of some appliances across the day or (even days) depending on planned local power production or electricity costs, either using local data (luminosity or wind sensors, manual or automated programs, …), historical power production data, or external data (weather forecast, planned electricity costs, …), or even all of these data. Le 7 Oct 2015 par Nathael Pajani. We told you about three months ago that we started working on the DomoTab project once again, and despite the vacation break we made some progress. You may have noticed with the technical page for the RF Sub-1GHz module going online, and the related user manual for the USB version of this module, or the epaper support added to the modules. And last, the tests of the KNX module are going on, we will post some more informations on these later. Le 10 Sep 2015 par Nathael Pajani. Le 21 Jul 2015 par Nathael Pajani. As we said, the effects of the new start of the DomoTab project are here, with the technical page for the RF Sub-1GHz module being online and the User manual for the USB version of the RF Sub-1GHz module also ready for download..
UEXT and Standalone versions of the module or very similar to the USB version, so the documentation for these versions should be ready soon. Le 8 Jul 2015 par Nathael Pajani. The number 15 of Open Silicium is out, so it’ time to publish the paper which was in number 14. For the curious ones who want to understand what’s behind IDE like Arduino’s IDE, this article is a good start. You will be led through the required steps to get the usual “Hello World” in it’s micro-controller version: tunring ON a led. Hey, don’t ask for too much, it won’t blink yet. 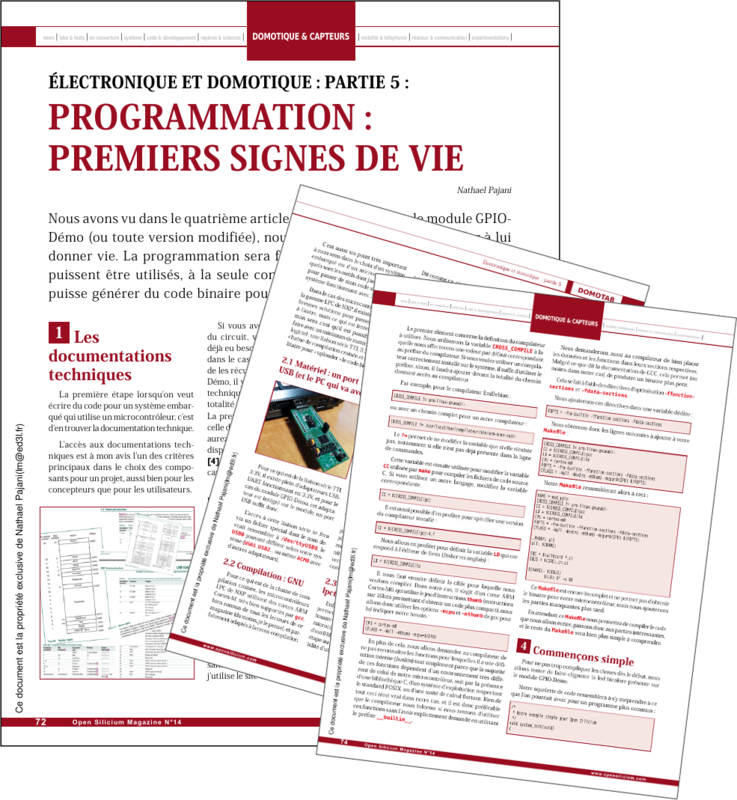 This paper will be used for the courses during UDOS on Friday morning (July 10, 2015): Discovery of a micro-controller “from scratch”: getting inside, or doing it the other way (from arduino). Le 4 Jul 2015 par Nathael Pajani. Le 16 Jun 2015 par Nathael Pajani. The Technical documentation for the LPC1224-BreakOut board is now available! We are working on the documentations for the other products, the next one to get it should be the RF-Sub1GHz module. The LPC1224-BreakOut board is available in our online store, either with USB-A connector or micro USB one. Le 13 Apr 2015 par Nathael Pajani. Le 9 Apr 2015 par Nathael Pajani. Le 20 Mar 2015 par Nathael Pajani. Le 27 Jan 2015 par Nathael Pajani. The technical documentation for the GPIO Demo module has been updated for the v4 of the module. Ths sources (software) have been improved to make examples or applications creation and use much more practical, and use branches from our git repository to support new modules, including the brand new RF Sub1GHz module (868MHz/915MHz) (prototypes have been tested and validated !). We’ll try to go on with this pace and get the documentations for all the other products done: DTPlug, USB-UART adapter, but also RF Sub1GHz module and LPC1224-Break-Out board. Le 18 Jan 2015 par Nathael Pajani. Le 2 Dec 2014 par Nathael Pajani. It has been quite a long time since the last piece of news, but we’ve been busy with other projects for our custommers. lpctools is now included in the Debian GNU/Linux distribution ! In order to get things done we finally asked Freexian services. Next step : resume the redaction of the papers on the Makin-Of of the GPIO Demo module for Open Silicium. The fourth paper is written (under rereading) and I’m working on the number 5, but it’s growing too fast and will certainly be split in two parts. Le 18 Jul 2014 par Nathael Pajani. Le 6 Dec 2013 par Nathael Pajani. Le 14 Nov 2013 par Nathael Pajani. Le 8 Nov 2013 par Nathael Pajani. Le 30 Oct 2013 par Nathael Pajani. Le 15 Oct 2013 par Nathael Pajani. Le 23 Sep 2013 par Nathael Pajani. The next part of the paper published in Open Silicium number 7 is available in number 8. One could say that’s pure logic, but this time it’s not one, but two papers waiting for your eyes ! The first one (which is the second one in the series) introduces some addons to the schematics, while the second (or third …) moves to the next step and guides you through the steps of the PCB routing process, and of course, using KiCad. You should not wait to get your hands on it then, or you can keep it at hand as a reference for pcbnew usage, the tool from KiCad suite for the routing process. Le 12 Sep 2013 par Nathael Pajani. The first release of the GPIO Demo module reference manual is ready ! This reference manual includes all technical information about the hardware (mechanical data and electronic schematics), some help about the software, and a step by step guide for DIY module assembly (which you can buy either as a kit or monted in our online store). We sent our application for the 2013 edition of the “trophées PME Bougeons proposed by RMC in order to spread the word around the DomoTab project. We should participate in the preselection in lyon on September 6th 2013. We’ll keep you posted in the incomming weeks about the results of these. Anyway, we can only congratulate both the initiative renewed for the fourth time this year and the simplicity of the registration process, which does not require a month of full-time work but only a few minutes on the Internet ! EDIT: OK, application form was simple … but we got nothing more than the confirmation email. Despite all our email sent to get in touch with them we got no answer. Preselections are running, for Lyon it was last Friday (September 6th 2013) …. Le 24 Aug 2013 par Nathael Pajani. Thanks to the support from 60 users, our crowdfunding has been a success ! Le 12 Aug 2013 par Nathael Pajani. This evening the crowdfunding campaign we set on Ulule reached (and overshot by 6%) the initial target we fixed (as of 25th July 2013) ! Many many thanks to all the people who already supported our project ! Of course, the crowdfunding does not end here, and we can go beyond the initial target. If the 5000 euros level is reached, we will send an additional gift to all those who selected a reward above 35 euros (the gift will be in relation to the selected reward). But we can go much further, and if the 10K target is reached, then everyone will get an extra gift as we will then liberate the GPIO-Demo module, removing the commercial use restriction from the CC licence. If you did not support us, time is running short, the crowdfunding ends on 30th July 2013. After this date, the “bellaminettes” which “Bruno Bellamy” made for this crowdfunding will become forever unavailable. Le 25 Jul 2013 par Nathael Pajani. Laser cutting, once again ! After our laser cut CMS stencils, this afternoon we ran tests to get masks to cover the holes from unused module slots in the DTPlug boxes or cover the space around the module connectors. The tests took place on local FabLab (fabrique d’objets libres) laser cutting machine. Le 24 Jul 2013 par Nathael Pajani. Open World Forum 2013, the first libre and open source european forum takes place this year in Paris from October 3 to October 5 2013. 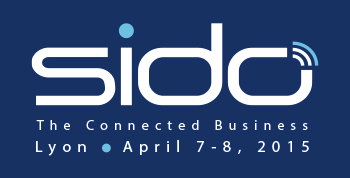 We will be part of the “Experiment” section with our GPIO Demo Kit, to demonstrate that modern electronics is accessible to everyone ! Le 23 Jul 2013 par Nathael Pajani. After some brainstorming we can tell you about a new project which should be out soon : a new kind of smart control switch. What is a smart switch ? We’ll try to explain. This control denotes from classic ones from the start due to its simple look and lack of mechanical parts. It’s a single square or rectangular plane, somewhere between 3 and 5 inches (might be bigger, be more expensive then, or smaller, but harder to use). If there’s no mechanical parts, then there’s a touchscreen ? Our new control will use Nemopsys technology, and thus be touchless ! It will detect your fingers or your hand in 3D and you won’t fear scratching the surface with your keys when you turn the light on. It also makes it independent from brightness, temperature or gloves ! Then if it’s a single plane, how do I know where to “push” and makes it smart ? We will use e-paper technology to allow a very low power display (No power used when display is static !) and get an interactive surface, making the control “multi-function”, allowing immediate feedback or help display. As an example, the surface can display a picture of the whole room with each light identified with a status indication, making it easy to turn on or off a particular light without going through all the switches on the wall. Le 16 Jul 2013 par Nathael Pajani. Yesterday we filmed the assembly process of the GPIO Demo Kit and the video is now online ! For those interested in the “Do It Yourself” way we created a demonstration module which uses NXP’s LPC1224 micro-controller used on all of our home automation modules, and it is available as a DIY kit. Our goal is to demonstrate that everyone can produce boards with CMS components at home with very few technical means, and for a reasonable price (We are selling the full kit for 32 euros TTC). 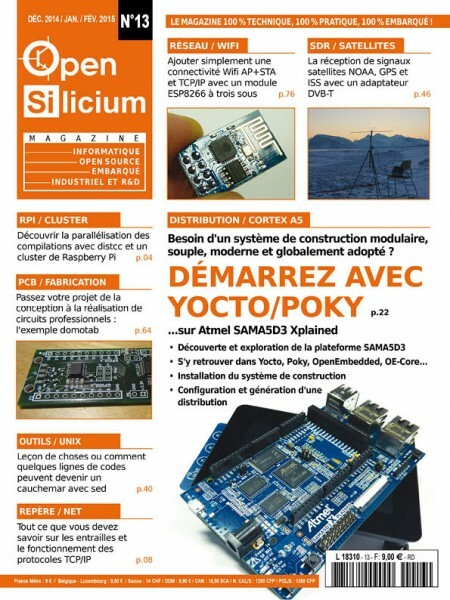 You will find the papers we wrote on the “Making Of” of the GPIO Demo module in the Open Silicium magazine (the first part is in the number 7, page 38). These papers will help you with your own module creation, from concept to embedded software programming. Our 53 minutes long video covers the whole module assembly, showing every step, possible pitfalls and how to avoid them, and how to right eventual mistakes with very few specific knowledges or sofisticated material. In short, the modern, miniature electronics to everyone! Le 28 Jun 2013 par Nathael Pajani. This afternoon we had a display of the DomoTab project during a Think-Tank organised by Imaginove at CPE-Lyon. Thank you to Fabrice Jumel (research professor at CPE Lyon) for the contact, and thank you to Imaginove for the proposition. It has been a great exchange time with the audience that I thank for their listening, participation, and interest. The showing should be available on Imaginove website soon. Le 25 Jun 2013 par Nathael Pajani. Le 16 Jun 2013 par Nathael Pajani. 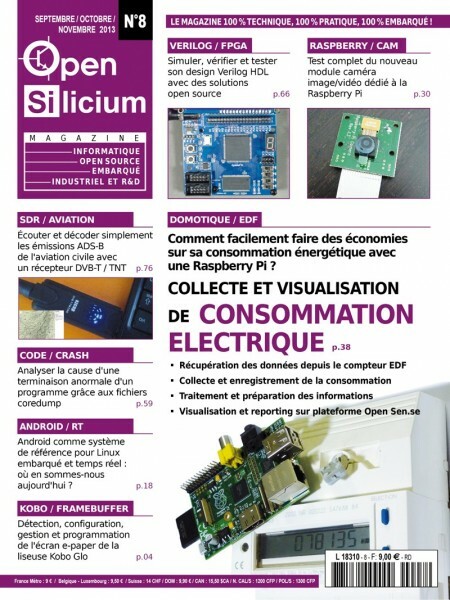 The paper is on page 38 : “Électronique et domotique libre : conception d’un module pour le DomoTab avec Kicad” (Open electronics and home automation: design of a module for DomoTab with KiCad). Links to the sources for the schematics are in our post A paper in Open Silicium n°7. Le 9 Jun 2013 par Nathael Pajani. Bill of materials : todo. The “RefCard” is available on our wiki. The version covers all written papers, so there’s more than what is in this first paper. This paper is the first part of the “Making Of” of our GPIO Demo module, and covers the first part of the electronics schematics, but is also a tutorial for KiCad, a very good electronics CAD free software. We also wrote the next two papers, one on the remaining parts of the schematics, and one on the PCB layout. More papers will follow : DIY assembly of the module and embedded programming “from scratch” for the micro-controller. This first set of papers will be followed by papers explaining how to extend the functionnalities of the module, for example to create a weather station, or control a pluged device’s power. We received the first batch of mass produced DTPlug boxes this afternoon from the injection moulding plant in California (USA). Le 3 Jun 2013 par Nathael Pajani. The Ulule campaign is on ! Ulule is a micro-financing website allowing people to support a range of projects and get goodies depending on the project and their contribution. We have chosen to sell the GPIO-Démo module (in kit) and to offer discount vouchers for our shop with no minimum contribution (other than the value of the voucher), and no time limit. And for the quickest, we offer online training to get started on DomoTab modules or learn to create new ones, either for DomoTab or your own project! Le 14 May 2013 par Nathael Pajani. Le 15 Mar 2013 par Nathael Pajani. This afternoon I tested the laser cutting CMS stencil technique at Lyon’s FABLab (Fabrique d’Objets Libres), that will be used to build the development modules. These stencils will be part of the development module kit I’m working on: an autonomous module allowing you to test your boards before building them. The plastic stencils (rhodoïd – 150 micrometers thick) work great, at least as good as steel ones and are perfect for laser cutting. Tin sticks well to the PCB once the stencil if removed and transparency makes positioning easier. You need to watch your pad size though, due to the cutting width: as much as 40% smaller for CMS components in CMS 0402 boxes, SOT-363 boxes or even LQFP boxes like the LPC1224′s otherwise you’ll get shot circuits. Le 27 Feb 2013 par Nathael Pajani. With Friday’s delivery of boards (test in progress) we’ll soon be able to deliver our first products, so order yours now! Le 22 Jan 2013 par Nathael Pajani. JDLL 2012 are now over. Thank you to all the volunteers of the organization team, and to “Maison Pour Tous” for their hospitality. You were many to come ask us at our booth, and our project has obviously aroused great interest among all. This allowed us to validate our technical and commercial choices, and shows us that freedom is the right way. We hope that you will confirm this by actively participating in the Ulule crowdfunding campaign we are setting up for pre-sales of DomoTab, to reach a production volume that would significantly lower the sales price. We also sold the first DTPlug at these JDLL, which is a good sign and we hope that some more will do so. Now that our site is online, we will continue to keep you posted here, and through our Twitter account. Le 19 Nov 2012 par Nathael Pajani. Hello Everyone, and thanks to all those who participated. Well done to the winners of our JDLL 2012 contest who found which bug “tibug” stands for: an ant, a small yet tireless and inquisitive bug which lives in community and work in groups, and for which sharing is natural. Warning, the question is about what is symbolised by the logo, not what is used to represent it (a capacitor, a chip, and a led). The answer is short and has to be specific. Open game, with no purchase requirement. Limited to one answer per physical person. Rewards will be given to the participants only during JDLL 2012 event (17 and 18 November 2012). Data gathered during the contest will be used to send you information emails about the DomoTab project. According to the law, you have the right to modify or request removal of your personal data from our databases. Le 2 Nov 2012 par Nathael Pajani. For the curious ones : global presentation of the whole DomoTab project, display of the first prototypes of the DomoTab control unit and it’s variants, and pre-sales of the DTPlug (Modular home-automation bridge). Of course, if it happens at JDLL, it’s because the ahrdware is open (licence Créative Commons – CC-by-sa-nc) and the software “libre” ! Le 22 Oct 2012 par Nathael Pajani.